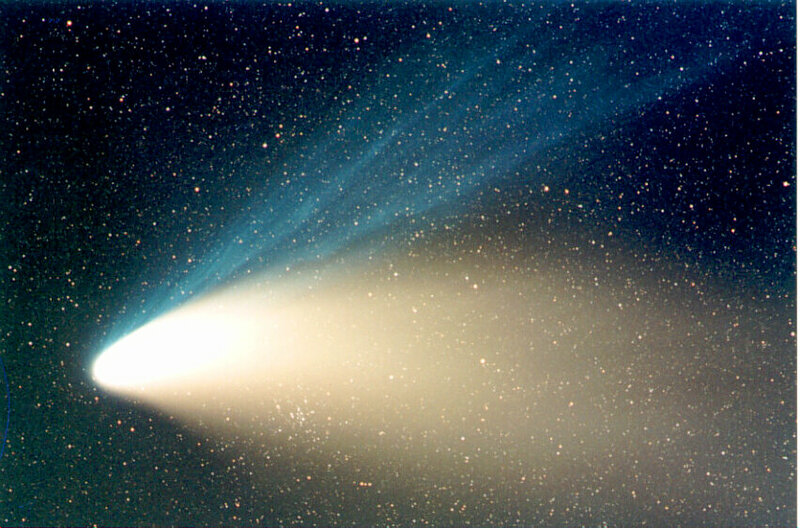 Explanation: Comet Hale-Bopp continues to look impressive. The photograph above captured the comet on April 7th passing nearly in front of M34, a star cluster in the constellation of Perseus. Many of the stars in this open cluster can be seen through Comet Hale-Bopp's white dust tail. The bright blue ion tail now shows several streams. 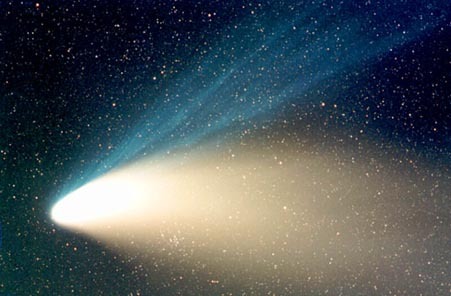 Now receding from both the Sun and the Earth, Comet Hale-Bopp should still remain an impressive sight for weeks to come as it slowly fades.